A good tripod is one of the first accessories most smart photographers invest in and there's no need to explain why. It's pretty common knowledge, too, that it needs to be rock-solid and versatile. Many buyers get so wrapped up in the build quality and features of the tripod itself that they forget to consider the type of head it comes with, or simply don't know the difference. There are several different styles and each one is best suited for a particular type of photography. In this article, I'll describe the various types of tripod head and the jobs they are suited for. This tends to be the most common and least expensive option, due to its simplicity. 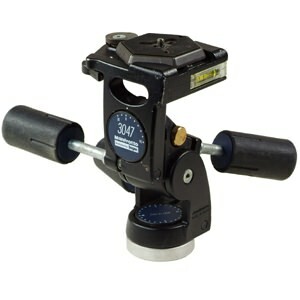 A ball head can be swiveled to almost any position and offer the advantage of a single locking mechanism. 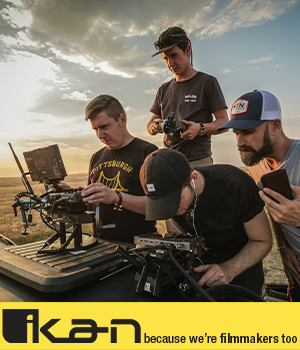 On the down side, they offer no means to control pan and tilt separately and many don't handle heavy rigs well. 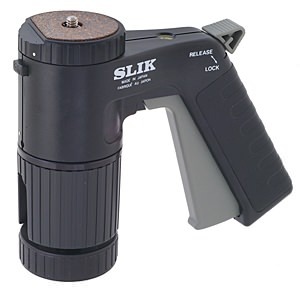 A pistol grip head offers the same basic range of motion as a ball head, but with the added convenience of a handle that's squeezed to release the locking mechanism and automatically locks when the handle is released. This makes for quicker adjustment, but can also make it difficult to make adjustments to the camera and tripod at the same time. This is among the most popular heads, offering much more precise control over the camera position on separate axes. 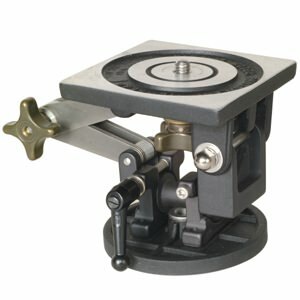 A panning lever lets the photographer swing the camera on the vertical (tilt) axis and the horizontal position (pan) is controlled by means of a separate lever or locking knob. Several styles of locking levers are used, but the most common involves rotating the lever handle to operate a screw-type locking clamp. 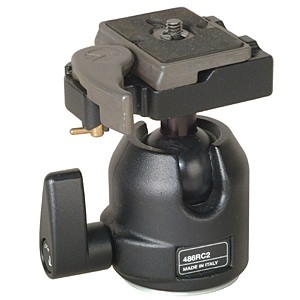 By adding a fluid-based hydraulic dampening system to a pan and tilt mechanism, this head creates very smooth, controlled motion in the adjustments. This is ideal for simple video work, since it greatly reduces vibrations sent to the camera as it records. It can also be used effectively for special effects during long exposures or to add simple camera motion to time-lapse sequences. This version of the pan and tilt head incorporates both fluid dampening and features that allow incremental movements along the axes. 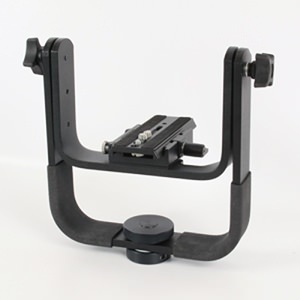 Many are designed to hold heavy commercial video and motion picture cameras and may incorporate adjustable counterbalance mechanisms to balance the load precisely. Some allow for adjustment of the fluid dampening and gear-driven pan and tile adjustments. 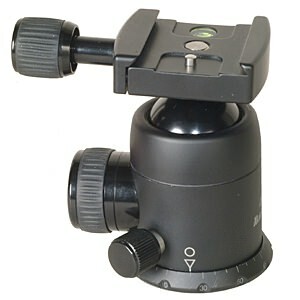 Video heads are among the largest and most expensive tripod heads. This head is designed to rotate the camera through 90 degrees from landscape to portrait orientation while some maintain the same lens axis. Some models allow stopping at any angle, while others simply flip from horizontal to vertical and back. This head can be useful for special effects, landscapes and portraits. Almost any of the heads listed above may come with a 360-degree scale at the base that indicates the position of the panning mechanism. It may also incorporate locking stops at intervals on the scale, as in this example. 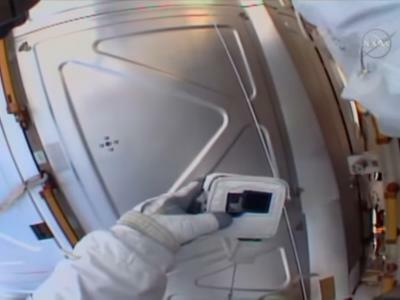 This is less useful with today's processing software, but it allows for precise rotation of the camera while panning, to create consistent-width images that can be easily stitched into panoramic views. There are several possible uses for this feature. For time-lapse, panoramic and similar applications, this head may incorporate automated movements along almost any axis and may be driven by simple stepping motors or via computer program. 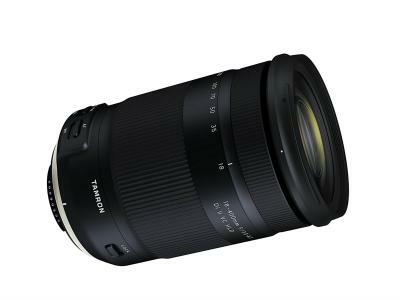 There are a wide range of these heads available, some dedicated to particular cameras. 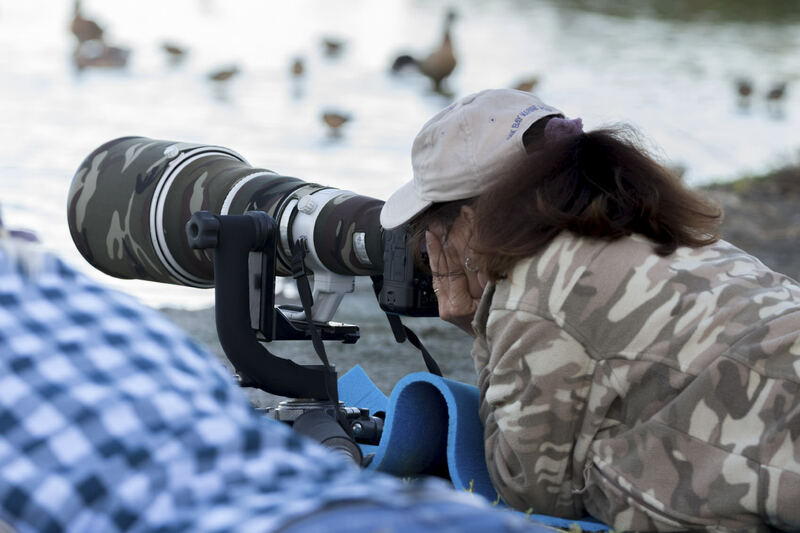 This is the favored head for wildlife and bird photographers who shoot with large, heavy super-telephoto lenses. It allows freedom of movement while maintaining smooth control. This head is designed to attach to the lens collar rather than the camera and is usually adjustable to help balance the rig. The gimbal head takes a bit of practice to master, but it is a staple item for professional nature photographers. Fortunately, most top manufacturers make changing the head on a tripod a fairly simple process. That means that you don't have to invest in a new tripod for each genre you shoot. A little smart online shopping will help you locate the right heads for your choice of base. I suggest starting with the good folks at KEH Camera, where you'll find a great selection of new, refurbished and warrantied used camera gear at prices you'll appreciate. Click their banner below and see what's in their inventory today.